Comcast, the television/voice/internet provider and now self-described “video game pioneer,” is giving away Wii gaming systems. Customers who subscribe to the Preferred Plus or Premier Triple Play packages will receive the Wii system as part of promotional partnership with Nintendo. The national offer runs from Monday till August 17th for new Comcast subscribers. With the Wii, you can play friends over the internet in games like Mario Kart Wii and Super Smash Bros. Brawl. Comcast is also promoting the fact that you can surf the internet on your TV screen by downloading the Wii Internet Channel from the Wii Shop Channel using Wii Points. Comcast Preferred Plus and Premier Triple Play packages include Comcast Digital Cable with On Demand and premium channels, Comcast Digital Voice, and Comcast High-Speed Internet with PowerBoost. A two-year contract is required to qualify for the free Wii system. 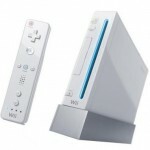 The company says the total number of Wii systems available is limited.